Er i’r Gyfnewidfa Cynaliadwyedd gael ei greu gan Gyngor Cyllido Addysg Uwch Lloegr (CCAULl) yn wreiddiol, mae llawer o wybodaeth ar gael ar y porth hwn ar gyfer pobol sy’n gweithio ar gynaliadwyedd yng Nghymru pu’n ai’n addysg uwch neu’n addysg bellach. 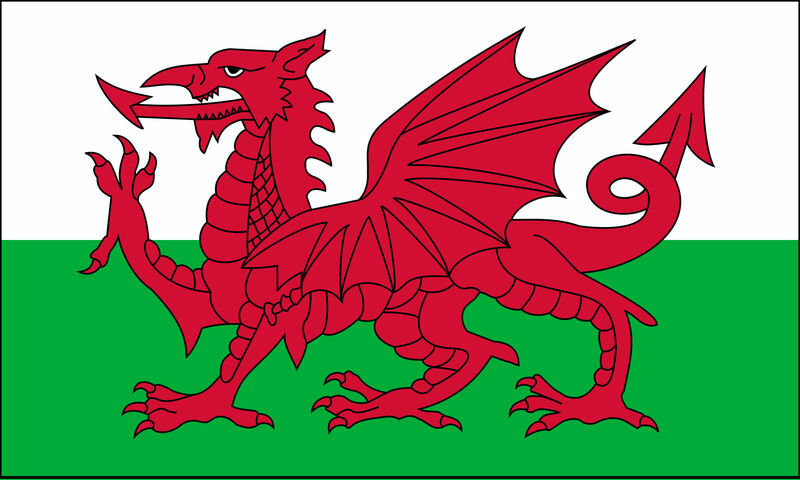 Mae’n safle ar gyfer cydweithwyr mewn gwahanol sefydliadau gael rhannu eu profiadau cynaliadwyedd drwy gyflenwad newyddion bywiog, dyddiadur digwyddiadau, canllawiau arfer dda, canllawiau cryno, adroddiadau, ymchwil, webinarau a fideos. Mae’r ACPC wedi ymrywmo i yrru’r porth gwybodaeth arloesol hwn ymlaen – gan ei wneud yn berthnasol i’r heriau sy’n cael eu hwynebu gan staff mewn sefydliadau ble bynnag y bont yn y wlad. Gan fod addysg a’r amgylchedd wedi eu datganoli yng Nghymru, mae Prifysgolion a Cholegau mewn sefyllfa unigryw gyda disgwyliadau gwahanol arnynt o’i gymharu â gweddill y DU. Er mwyn rhoi cymorth iddynt ac er mwyn cefnogi addysg drydyddol yng Nghymru, rydym yn gobeithio creu Partneriaid Cyfnewidfa Cynaliadwyedd Cymreig newydd er mwyn darparu adnoddau a chanllawiau rydych eu hangen. Mae’r perthnasau newydd a chyffrous hyn wedi’u llunio er mwyn gosod cynaliadwyedd ar y blaen o ran addysg drydyddol yng Nghymru, ac er mwyn darparu’r offer i sefydliadau a’u staff allu gwireddu hyn. Er bod llawer o adnoddau penodol Cymreig ar gael ar y Gyfnewidfa Cynaliadwyedd, carem weld mwy ohonynt. Dyna pam y byddwn yn parhau i weithio’n galed i hybu cynaliadwyedd o fewn addysg drydyddol dros Gymru gyfan a pham rydym yn cynyddu ein partneriaethau ac adnoddau drwy’r amser. A set of presentations which show how institutions (HE and FE) have implemented and maintained their Carbon Management Plans and how to ensure targets are reached. A presentation from the EAUC Annual Conference 2012 on Scope 3 emissions including a case study from De Montfort University. A presentation from the EAUC annual conference 2012, learning from previous Green Gown Award winners/highly commended about their projects and advice for submissions. Linking Vision with Purpose: building sustainability into an organisation. A case study from Dr Peter White, Procter & Gamble. Legal update for EAUC Members (August 2011) about the new 2011 waste legislation. In this EAUC Member Spotlight, see how Coleg Gwent has made a pledge to embed sustainable development as a core principle of the college. A Practical Guide to Employing an Environmental Manager/Sustainability Officer for Universities & Colleges. An EAUC Insight Guide on Display Energy Certificates, which came into effect on 1 October 2008. A set of accident/incident report forms collected from a number of EAUC Members. This publication helps businesses and organisations establish their carbon impact and introduces some of the key issues faced in the calculation of a carbon footprint. The EAUC has published this abridged version of our forthcoming Carbon Reduction Commitment (CRC) Insight Guide to inform institutions about the CRC. An office guide to calculate carbon emissions for colleges/ universities. An easier to read interpretation of the Greenhouse Gas Protocol! EAUC Member responses which provide guidance on building a case for recruiting a Waste Assistant. Office of Government Commerce guides on using the best practice solutions for buying energy considering risk and procurement. A report which examines the extent to which departments and executive agencies are meeting targets to make their new buildings and major refurbishments more sustainable. This report presents the key issues, evidence and proposal for action so that the UK has credible carbon reporting mechanisms. A tool which makes it easy to find out which top ten new cars have the lowest CO2 in their class. This report summarises the current status of construction resource efficiency, and proposes 10 key actions to reduce waste production and divert waste from landfill. A study by Bicicleta Club de Catalunya (BACC) on bike use and cycling promotion in universities in Spain and Britain in May 2007. Responses from EAUC Members on how to improve campus bike security and the policies and procedures that can help create a strategy for abandoned bikes. Two videos from Ellen MacArthur Foundation about the biologist and ecologist at the design table. Products and processes which use nature as mentor, model and measure. Guidance from NICE on local measures to promote walking and cycling as forms of travel or recreation are now available. A summary of the CRC text taken from the Chancellor's 2012 Autumn Statement. A presentation on the benefits of worm digesters including site requirements, critical factors, types of digesters, warming tubes and the vermicomposting process. A presentation about behaviour change which offers a simple overview of the key areas, theoretical models, the barriers to change and some example projects. The Strategy for Sustainable Construction (June 2008) which is intended to promote leadership and behavioural change in sustainable construction. The Cabinet Office Behavioural Insights Team’s first Annual Report (2011). Two posters about assessment for sustainability by Arran Stibbe, University of Gloucestershire. The Government's Behavioural Insights Team has published a report setting out how they can use behavioural insights to help people save energy and money. A chapter from the The Presidential Perspectives Series on how campuses can leverage sustainability for institutional gain in a competitive marketplace. This report sets out the Department for Transport's cycling policy (January 2008) and demonstrates the health and environmental benefits of cycling. Lucideon's Quick Guide to ISO 50001: The New Energy Management System Standard - a reporting guide and a video. A short talk on the environmental values of urban green walls focusing on the animal biodiversity, air quality, building insulation (thermal, noise and light) and human well-being. This case study explains how Jisc were able to provide Cardiff University with new technology allowing twice as many servers in less space and the total cost. A case study, from Cardiff University, explaining how using Condor could help cut your electricity use. A paper which emphasises that that social norms are a vital tool for promoting pro-environmental behaviour, but deploying them is more complex than it seems. A number of websites that provide useful information on green ICT. A spreadsheet from the Furniture Reuse Network with average weights of furniture, household and larger appliances, useful in estimating the weight saved from sending to landfill. EAUC Members responses about the management of paid car parks at institutions. Responses from EAUC Members on Members' experience of monitoring the use of bicycle racks. A toolkit published by the Department for Transport (DfT) which provides a practical tool for users wishing to apply the latest behavioural insights in the transport context. An edited excerpt of the former Wales environment minister's ‘A small country with big sustainability ambitions,’from the ENDS Annual Lecture 2011. View two Education for Sustainability (EFS) guides produced by Dr Alex Ryan and Professor Daniella Tilbury from the University of Gloucestershire. A presentation on Environmental Co-ordinator Questionnaire results, providing a snapshot of the public sector Environmental Co-ordinator network system. This resource consists of the weblink to the factsheets for EU Ecolabels. This links to asection of the BREEAM website includes case studies on buildings certified to the BREEAM standard. BRE Global’s website for BREEAM, a design and assessment method for sustainable buildings. A comprehensive presentation on how to understand, produce, plan and implement biodiversity whilst engaging key groups in the institution. EAUC Member responses to a question about whether subsidising staff bus fares for bus services that service campuses count as benefit in kind. Responses from EAUC Members on whether there a link between bus vs. car issues and student attendance at institutions. EAUC Member responses to a request for information to help plan the introduction of bee hives on a city centre campus. Examples of carbon reduction strategies, plans and initiatives from a number of universities. Salix has worked with 725 clients across the public sector, including local authorities, central government, schools, universities and colleges and NHS trusts. Waste Online is a library of documents relating to sustainability, waste use and resource use. It provide information for people from all locations and of all levels of knowledge. This short paper sets out proposals to enable HEFCW to further embed sustainability both within decision making processes, and funding, as required within the 2010-11 remit letter. This overview covers the main energy saving opportunities in lighting and presents low-cost measures without compromising working conditions.